You are here: Home / More Featured Posts / Side-By-Side Freddie vs Rami Will Blow You Away! 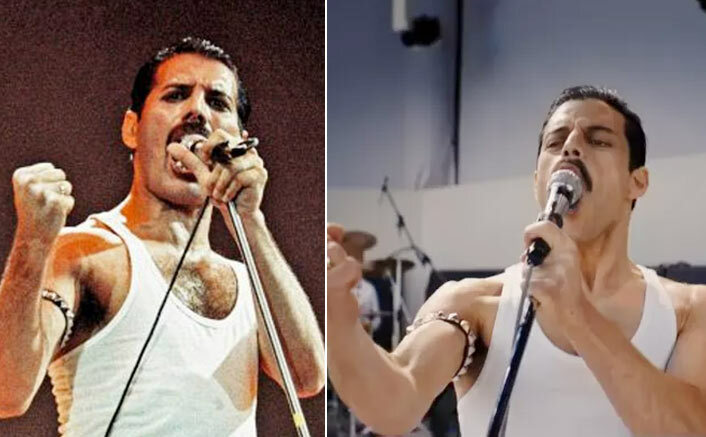 of Queen’s entire LIVE AID performance shown in sync with Rami Malek’s Oscar-winning performance from Bohemian Rhapsody. Watching both at the same time brings even more admiration for Rami’s efforts. It is uncanny how Rami got the timing down with the movements. Visuals so small like how Freddie held the microphone during a song at a particular moment show Rami’s dedication to detail. Following the video is a wonderful LONG interview with Brian May, discussing the movie, the Red Special, the Queen in 3D book, stereoscopic photography, moon travel & aliens. Everything but Adam Lambert. Frankly, I didn’t know that could happen. I’m sure if the current tours had been talked about it would have. But it’s still a great interview! I loved this show. Frankly, I was disappointed it did not win more awards. I loved Freddie. And Queen too. I love Adam Lambert too. They picked the right person to play with Queen. No one but Adam could do Freddie justice. I watched a “making of” video on YouTube and the actors said they watched the original performance so many times, and practiced every move, that when it came to filming the performance, it was like being inside a virtual reality game. Like “oh yeah, this is where the stage hand walks…. OMG, there he is!! !” It was fun to see it side-by-side and see what they were talking about. Very interesting…..haven’t seen this before.